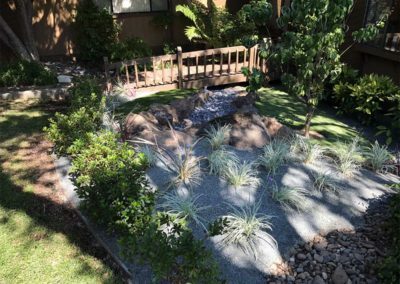 This front yard turned out to be a stunning small space project. 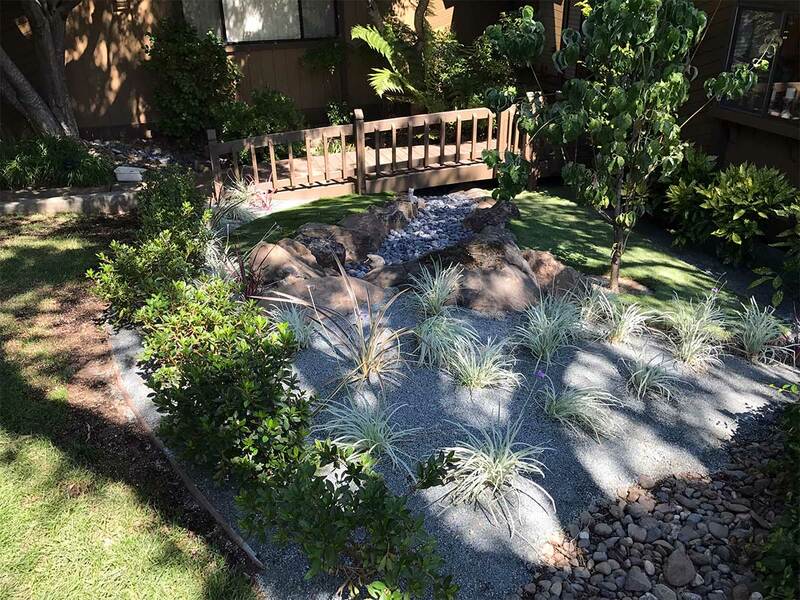 Our client desired a front yard with lots of texture and design and as you can see, that’s exactly what she got! 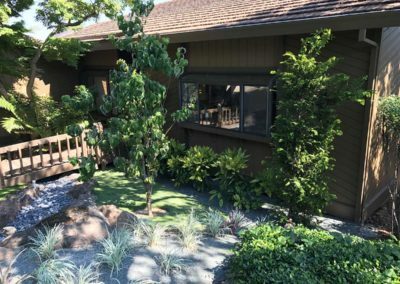 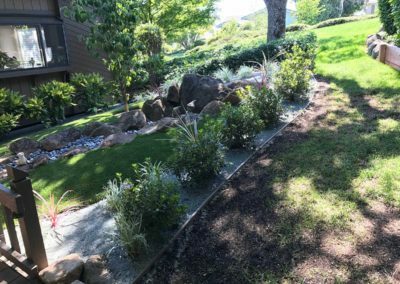 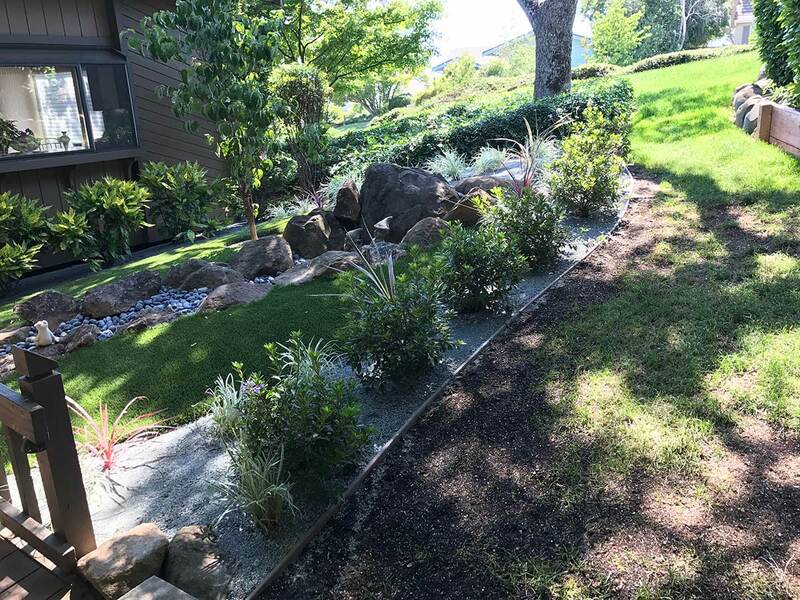 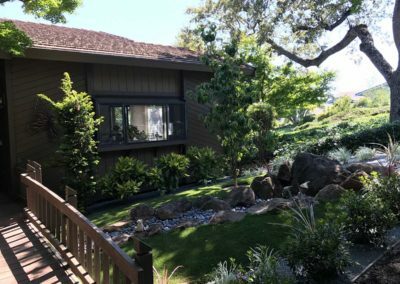 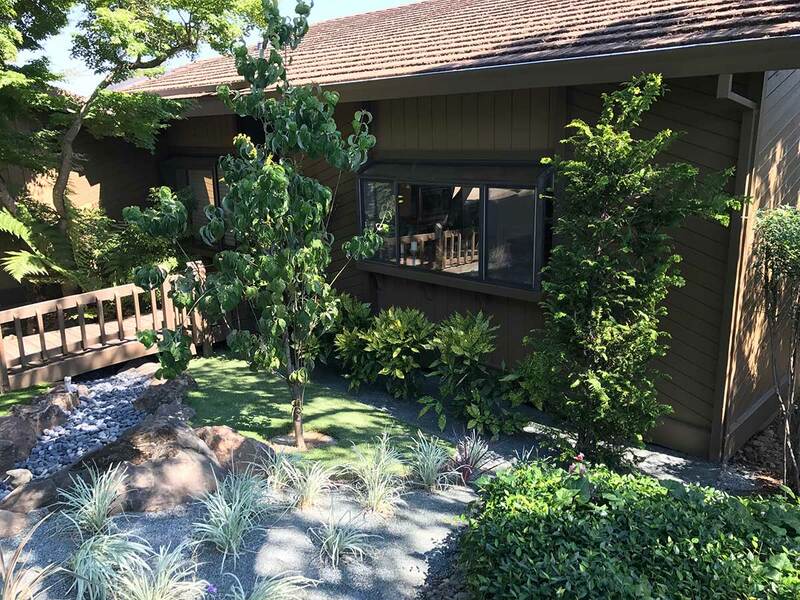 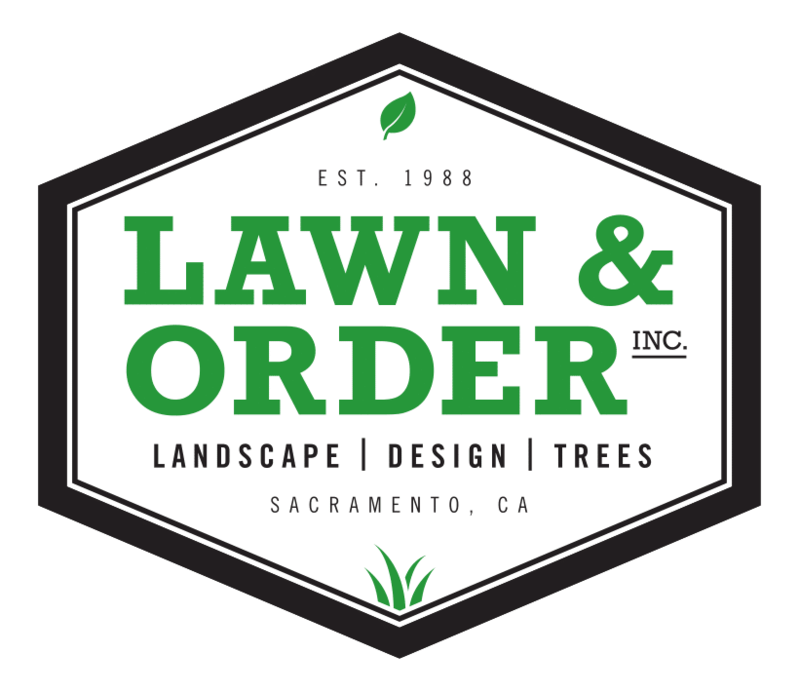 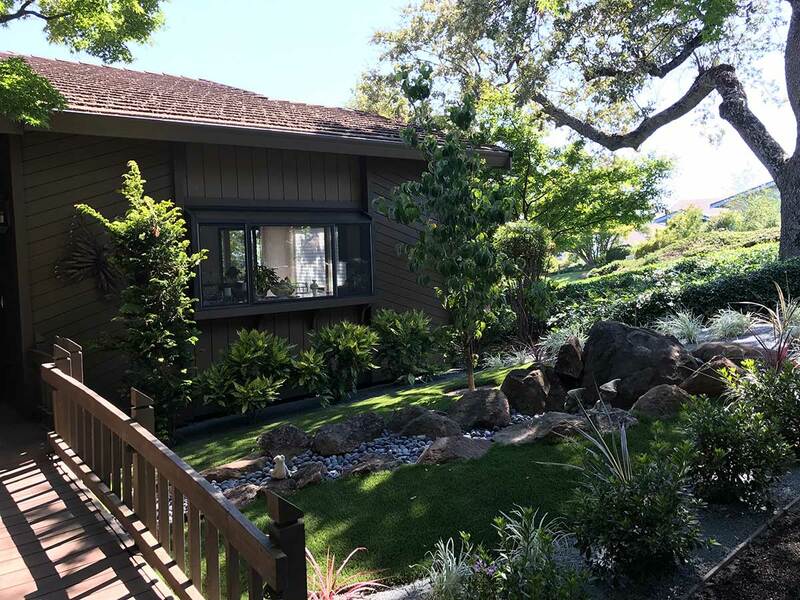 We were able to maximize this space by adding in larger, more mature plants along the edges, enclosing beautiful rock and decomposed granite planter beds and synthetic turf.